Please collect and pay attention to our shop So we\'ll give you a coupon every month DHL EMS TNT UPS and so on, express delivery will generate tariffs Please note that if you do not pay customs duties for personal reasons, we refuse to refund. Welcome ! my friends. I hope every day is a happy day Please collect our store and website . We will update our new product and offer discounts Add the products you want to the “Add to Cart” then contact us. give you discounts Every good evaluation of you is a great encouragement and support to us If you have any questions, I hope you can contact me first and I will try my best Solve the problem for you Please don\'t casually open the dispute,Thank you, my friend. 1, used at low temperature -196 degrees, high temperature between 300 degrees, has the climate resistance, anti-aging. Through practical application, such as in the case of high temperature of 250 DEG C, placed for 200 days, not only the strength will not become low, and the weight will not reduce; put 120 hours at 350 degrees Celsius, the weight is only reduced by about 0.6%; at -180 DEG C under ultra-low temperature and can keep the original softness. 2, non adhesion: smooth surface, not easy to adhere to any substance. Easy to clean the surface of the attachment, grease stain or other attachments; paste, resin, paint and so on almost all the adhesive material can be easily removed; 3, chemical corrosion resistance, corrosion resistance, acid alkali, aqua regia and various organic solvents. 4, drug resistance, non-toxic. Resistant to almost all pharmaceutical items. In the model with smooth and good. - has good high temperature retention and dimensional stability. Li The non adhesive surface has the good characteristics of four fluorinated ethylene resin, such as electrical characteristics, heat resistance, weather resistance, chemical resistance, water resistance (water resistance), low friction coefficient, non adhesion, etc.. Teflon tape is also called pure iron Teflon tape, which features besides high temperature resistance, Teflon tape itself has extensibility, good elasticity, good insulation, anti shock strength, mainly used in electronic industry. Teflon (Teflon tape) characteristics and application: PTFE Teflon (Teflon tape, Teflon tape, Teflon tape) surface is smooth, with excellent anti adhesion, chemical corrosion resistance and high temperature resistance and excellent insulating performance, widely used in packaging, thermoplastic, composite, sealing, electrical and electronic industries. 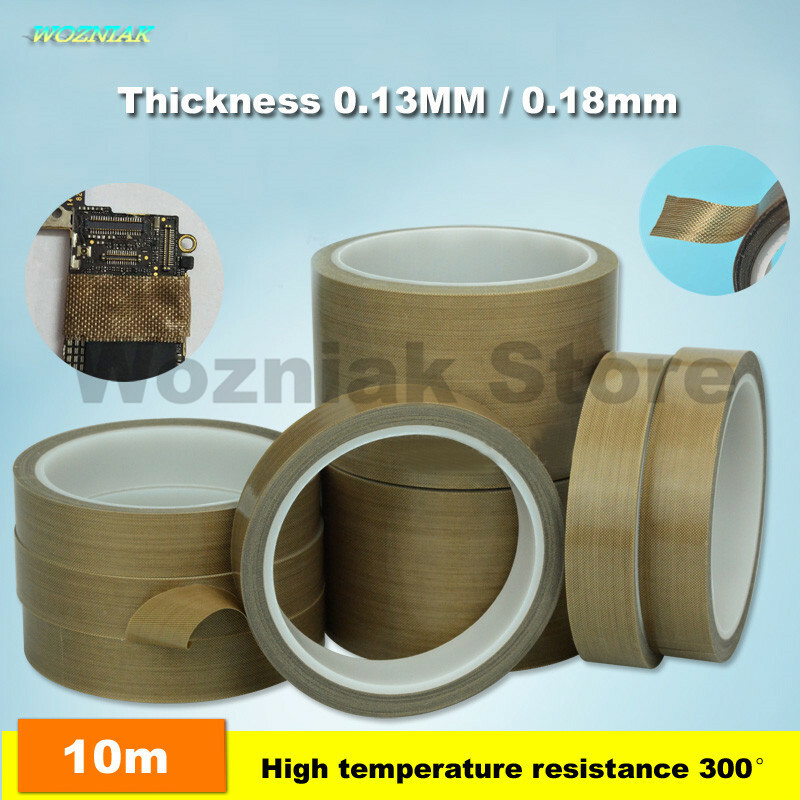 After the fabric reinforced PTFE Teflon tape more with the characteristics of high strength, can be used for sizing machine drum, plastic molding, can be repeatedly used, easy to replace. MK10 Extruder Hotend Kit .4mm Copper Nozzle M7 Thread Heatbreak with PTFE Teflon - For Wanhao / FlashForge / Creator Etc.